For the first MarketBeat installation of the New Year, we'll feature three 2012 small-cap investment transactions from across the country - collectively totaling all of $11.6 million - illustrating how truly noteworthy rewards typically require a good degree of old-fashioned entrepreneurial risk-taking. In all three cases sharp property professionals took pains to ponder likely trends ahead in user preferences in opting to risk capital on sizeable - and completely vacant - commercial properties, at what should ultimately prove to be quite lucrative pricing. Due in part to locations as well as particular physical characteristics, the prices paid are all way below replacement cost - even though one came in at barely $5 per square foot, another in the mid-teens, and the third in the $30s. What they all share in common is the prospect for exceptional value appreciation - probably sans noteworthy additional outlays - with enlightened tenancy dealmaking to come. While MarketBeat persistently scours various sources for small-cap/small-balance transactions throughout the year, we can't claim we're privy to every noteworthy deal. In other words: we're certain to have missed investments that may prove even more fruitful than the featured trio, but we do feel these demonstrate revealing foresight. We'll start off in the Midwest, where longtime local entrepreneur Edward Paul in November closed escrow on a uniquely equipped 278,000-square-foot property used for bottling, distilling and packaging over seven decades in northern Cincinatti's Carthage neighborhood. We offer a nod to Paul not just due to the $1.5 million price he and his reps from local Cushman & Wakefield Alliance affiliate Cincinnati Commercial Realtors were able to negotiate - factoring to less than $5.40 a foot, and far less than half the $3.95 million asking price. Likewise meaningful is the fact that the new owner intimately understands the opportunity from a local would-be user's perspective, having owned and run Container Recyclers Inc. and Queen City Barrel Co. until selling them just before the recession dug in a half-decade ago. In fact in addition to various strategic real estate purchases he's pursued while values have been depressed, he's still a regional executive of the larger company that bought Container Recyclers. Paul purchased the property, vacant for the last year or so, from the Jim Beam Brands Co. subsidiary of the Deerfield, Ill.-based company now known as Beam Inc. The facility at 7324 Paddock Rd. is on 12 acres fronting key metro spine I-75. While Paul isn't necessarily convinced another bottler or packaging operation will become his tenant, it can't hurt that the facility features stainless steel tanks with nearly 1 million gallons of collective capacity. Out Sacramento way, we'll also offer kudos to the veteran namesake principal of Ethan Conrad Properties - not as much for the per-foot price this time, but for the potential near-term appreciation prospects at one of the five more local investments Conrad and associates closed during a late-year flurry. That would be the long-vacant 164,330-square-foot former Affymetrix Inc. high-tech plant in West Sacramento that Conrad picked up from the biotech company for just $5.75 million. Coming in at $35 a foot, broker-turned-investor Conrad's biggest year-end investment is far from the cheapest we witnessed around the country over the course of 2012. But it may well offer the most proverbial bang for the buck, given that Affymetrix invested $60 million ($365 a foot) into the biotech-oriented structure and finishes. 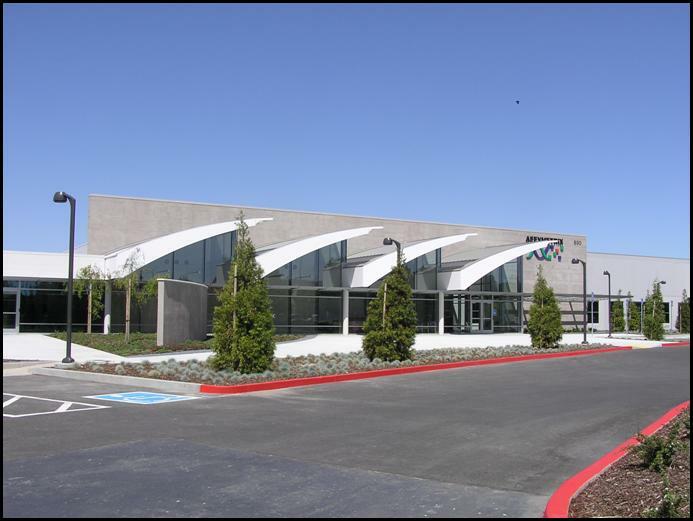 The near-in complex at 890 Embarcadero Dr., within an amenity-heavy, freeway-close business park, features clean rooms and R&D facilities along with office, manufacturing and warehousing space - all comfortably air-conditioned as is necessary in the Sacramento Valley. Negotiated in-house primarily by Conrad associate Scott Kingston, the deal ranked among 16 Sacto-area acquisitions the Conrad group closed during the year. While it may take a bit longer to find an appropriate user (or users) - Affymetrix vacated the property back in 2009 - a long-term lease with a creditworthy tech company would presumably add many millions of dollars in value. And given all the investment capital targeting biosciences - not to mention the Sacramento area's cost advantages over the exceptionally expensive Bay Area - it seems a reasonable bet Conrad and company will eventually find a taker or two for the facility where Affymetrix (among other activities) had fashioned DNA-coated wafers used to analyze blood and tissue samples. In the Northeast, we'll likewise give an online shout-out to the team of entrepreneurial property veterans comprising Endurance Real Estate Group based in Philadelphia suburb Bala Cynwyd. The Endurance team, co-founded a decade ago by Benjamin Cohen and Bill White, made what turned out to be quite an insightful (and cheap at $4.36 million) investment in a vacant 289,277-square-foot bulk warehouse/distribution facility in Pittston, Pa. earlier last year. While Endurance's internal acquisitions team was still conducting due diligence after tying up the empty property big REIT Prologis was looking to unload, Endurance's operatives were able to land a tenant for the entire complex. Indeed the co-principals, both of whom worked at the US investment arm of the once-formidable Fortis international finance conglomerate (and Cohen at RFR Holdings as well), realized it was just a matter of time before the strategically located facility attracted user attention. After all the center, developed in three phases on 17.5 acres in the early- and mid-1990s, is located right off I-81 as well as a toll-road extension of the Pennsylvania Turnpike - just 125 miles from New York City and even a bit closer to Philly. The complex dubbed Pittston Distribution Center #1 is at 301-305 Oak St. in an industrial eastern district of Pittston, which is along the Susquehanna River just southwest of Scranton in northeast Pennsylvania. The location and physical plant proved perfect for the new tenant, expanding regional logistics and trucking company RC Moore Inc. And now that the Moore group is up and operating there while commerce and user demand continue to recover, we have to think the property's value has already appreciated well beyond Endurance's price, which factors to a hair over $15 a foot.